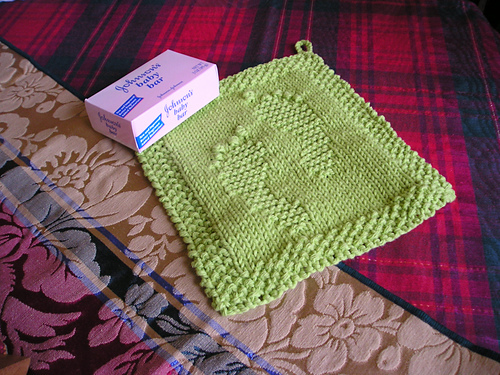 Der mistakens are verrrrrrry obvious in der first dishcloth~I’m glad I redid it! So I’m on my next one-this one is for my Preg Daughter. Baby Feet (mine is going to be Bernat Cottontots Pink) She’s got 10 weeks to go, so I still have time to do her blanket. Row 2: Ah, now I see the pattern, it’s a short version of k2, p2, rib stitch, I think it’s called? back to work, I want to get a good start before going upstairs~g’night!